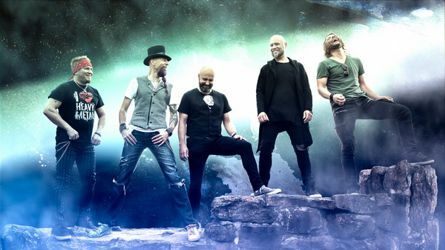 WAKE THE NATIONS - new Melodic Rock signing from Finland! Heart-shaped rock from Finland! The second album of Wake the Nations (WTN) is loaded with fresh AOR tracks containing a twist of the 80’s melodic hard rock. In 2009, Risto Tuominen got interested in a band that was being established by Janne ‘Gekko’ Granfors: a grunge-type of band with Krister Stenbom on the lead vocals, Tuomas Pelli on drums, and Gekko on guitar. They were after a bass player, but since Risto came along, Gekko took the bass guitar. A hard rock band ‘Villa Sucka’ was formed. They wrote songs actively and recorded an EP during the spring of 2010. In the same year, Risto got recruited to a melodic rock/AOR band ‘Human Temple’. Gekko soon followed him. In those times, Jori ‘Jorge’ Tojander was the keyboard player of Human Temple. As Human Temple was having a break, Risto decided to start recording his solo album in 2012. During the past years, he had written some songs that were never published. Risto asked Jorge, Gekko and Kalle Saarinen, all from Human Temple, to help him with the record. Also, Tuomas got an enquiry whether he could join. Initially the idea was to record already written songs just for his own sake, with good quality. But things got more and more ambitious... Risto came up with a thought of ‘Wake the Nations’ project band. Janne Hurme (Human Temple) and Petri Kitti (Violent Code) permitted him to record two of their songs as well, and so the album became to form an entity of its own. It took a year to fine-tune the songs. When it was time to record the vocals, Risto wasn't confident enough to do it himself. So, he began to search for proper singers. In 2013, he found Estef Martinez (Insider) from Ecuador, Dado Topić (Time) from Croatia, Taage Laiho (Kilpi), and Nils Nordling (Silver Bullet). Janne Hurme and Krister Stenbom were invited also. In addition, Timo Pelander (Finlanders) played guitars and Jari Pailamo (King Company) keys on some tracks. ‘Sign of Heart’ was born in January 2015. The album got its way to the top-50 of the official Finnish chart in the first week after release. The band did not have a fixed front man and they were not supposed to tour anyways. But as a one-time-occasion, they played at album release party, it became evident that WTN would continue playing for live audience. Soon Krister joined the band and WTN hit bigger stages. Live performance in DBTL festival 2015 was a turning point: WTN opened for Sunrise Avenue and got some international interest after their show. Ever since, the band have been playing numerous gigs: for instance, they have toured Germany numerous times and supported Swedish metal act Dynazty during their ‘Titanic Mass’ tour in Finland. These guys are known not only for their music, but also energetic and positive attitude which is present on and off stage. During the years 2016-2018, WTN wrote and recorded material for ‘Heartrock’. It was done in cooperation with some of the best melodic hard rock professionals in Scandinavia. For instance, writers also include gurus as Sören Kronqvist (Joe-Lynn Turner/One Desire) and Thomas Wikström (Therion), mixing and mastering was conducted by the almighty Erik Mårtensson (Eclipse/W.E.T. ), producers include Ilkka Wirtanen (Reckless Love/The Nights). The end result being a solid yet diverse melodic AOR album with stadium rock sounds, a hint of the 80’s, and interesting stories of life and love. 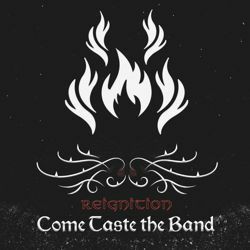 COME TASTE THE BAND - new album “Reignition” feat. Doogie White & Joe Lynn Turner on vocals! Come Taste the Band (CTTB) is a Norwegian classic hard rock band, founded in 1997 by guitarist Jo Henning Kaasin and singer Vidar Heldal. The early line-up, included bass player Ståle Naas, Eldar Melkvik on keyboards and Frode Flatland on drums. In the early years, CTTB was a Deep Purple tribute band and released two CD`s with Deep Purple songs; «A Tribute To Deep Purple» in 1999 and «Live» in 2006. From 1997 to 2007, CTTB played hundreds of concerts in Scandinavia. In 2007, CTTB were asked by the Norwegian festival, Kartfestivalen, to play a concert with former Deep Purple singer/bass player, Glenn Hughes. This show resulted in a partnership that lasted until 2010, when Hughes founded Black Country Communion with Joe Bonamassa. Glenn Hughes & CTTB did four tours together, playing Deep Purple Mk III and IV classics. In 2011, Come Taste the Band teamed up with former Deep Purple/Rainbow-singer, Joe Lynn Turner. JLT & CTTB toured Scandinavia, doing both Rainbow and Deep Purple material. Together they hit the road between 2012 to 2014. During days of, Turner, guitarist Jo Henning Kaasin and bassplayer Ståle Naas wrote and started recording two brand new songs, Tied Down and Don`t Let Me Bleed. Both songs ended up on the new CTTB album, «REIGNITION». 2014 also saw CTTB doing two concerts with former Rainbow singers, Doogie White and Graham Bonnet + Norwegian singer, JORN Lande. Come Taste the Band have changed the line-up several times during the years, with only leader and guitarist, Jo Henning Kaasin, singer Vidar Heldal and bass player Ståle Naas staying constant in the band. In 2017 celebrating 20 years, CTTB played two big sold out shows with former Whitesnake guitarist, Bernie Marsden and Doogie White (Rainbow/Michael Schenker). After those concerts Doogie White and Jo Henning Kaasin started to write new material. 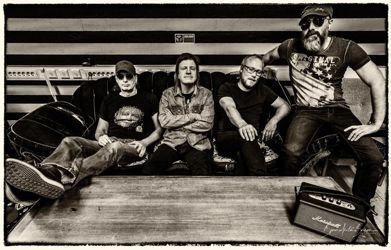 CTTB landed a record deal with AOR Heaven in November 2017 and recorded seven songs with Doogie White as the singer. Those songs were recorded at Juke Joint Studio, Notodden and Stable Studio, Oslo Norway. The band now is joined by Swedish musicans, Birger Löfman on drums and Svenne Jansson on organ/keyboards. The album was produced by Halvor Halvorsen/Jo Henning Kaasin & CTTB, with Leif Johansen (Phenomena/21 Guns/A-ha) helping out with engineering. Njål Frode Lie mixed and mastered the album. The album «REIGNITION» includes 9 classic hard rock tracks, played mostly live in the studio and with lots of improvisations. Doogie White is singin on 7 tracks and Joe Lynn Turner on 2 tracks.